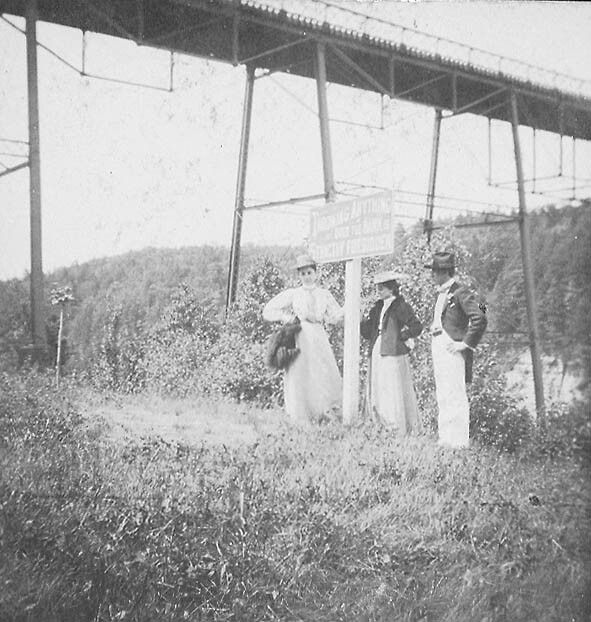 This photograph was probably taken by tourists off an Erie RR excursion train sometime in the late 19th or very early 20th century. They are posed on the bank below the east end of the Portage Bridge. The sign they are standing by reads "Throwing ANYTHING over the BANK is STRICTLY FORBIDDEN" . Over the bank from where they are standing would be the tracks of the Pennsylvania Railroad.